Note: Every repetition counts in this workout, and the run will cut into your time for repetitions – so run at a pace that’s quick, yet still leaves some room in the tank. The second AMRAP, involving Handstand’s and “Pistols” or Single Leg Squats, is extremely challenging. We will be teaching modifications for these skills during each class. 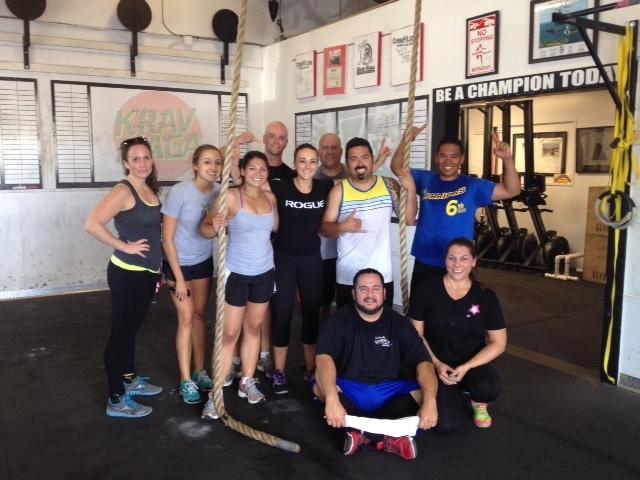 Roberto and Bre get their Rope Climbs! 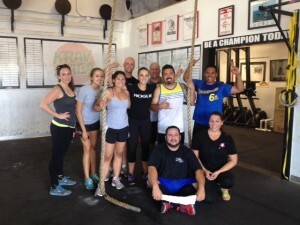 The CrossFit Amundson Olympic Lifting Class is tonight from 7:00 to 8:00 PM.